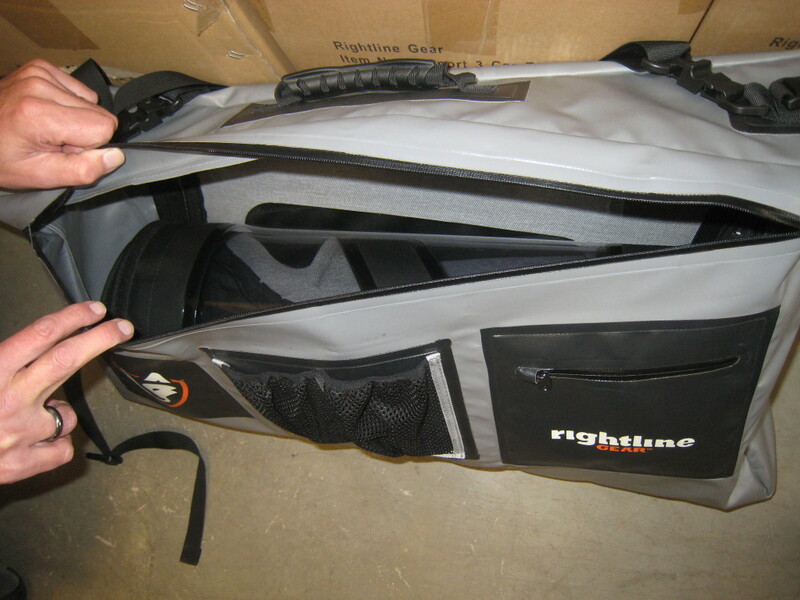 The Rightline Gear Jeep Storage Bags have been on the market for a few weeks now and we are starting to get questions about what they can hold and how they can be used. Many of our customer’s ideas have been extremely creative and we will try to share many of them with you in our blog. The fit is a little tight getting through the zippered opening, but it definitely works. With a little practice, you can perfect this routine. 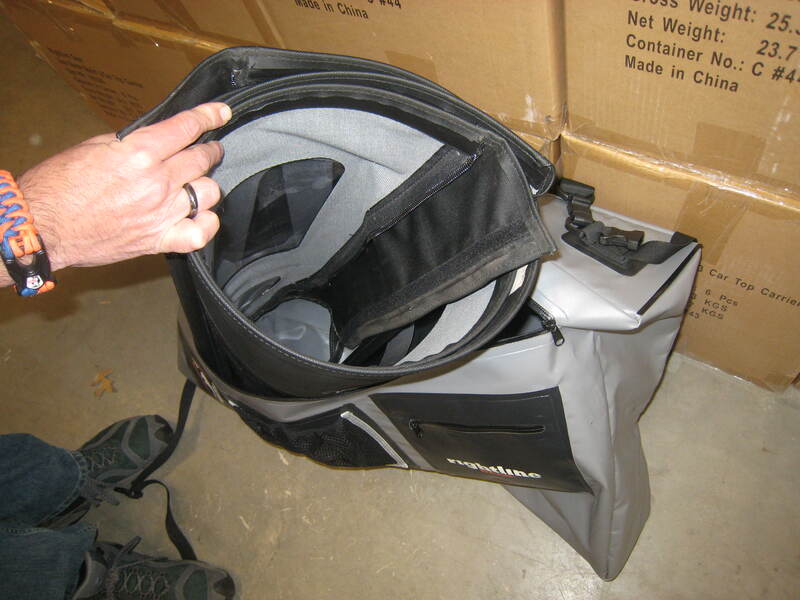 Previously, the Jeep’s soft top side windows could either be stored loosely behind the rear seat, in one of the large storage bags inside the jeep, or in the garage at home. 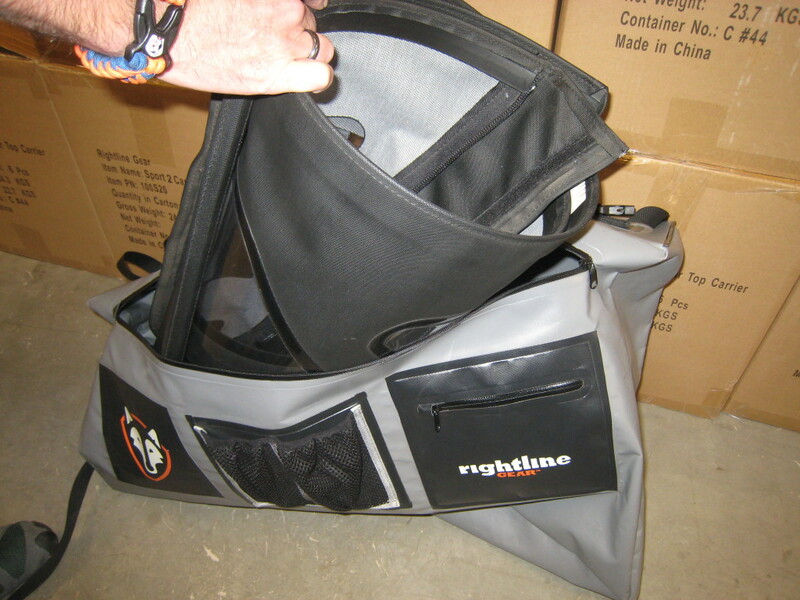 The Rightline Gear Side Storage Bag provides another option when you are out driving, the sun comes out, and you have just got to take the top down. We know and love the feeling! Please comment as to how this solution works for you. This entry was posted in Jeep Product Tips. Bookmark the permalink. Will the car clips work on a jeep wrangler unlimited? What weight can we put in the bag to carry it with the shoulder strap? Are the fixing of diferent straps on the bag resistant? are the fixing of the straps ( there all the straps are fixed on the side storage bag ) strong enough to avoid tears or cutaway when the bag is full and fixed on the rall bar or handle with the shoulder strap? I would be interest to have this bag in order to carry clothing for my family.